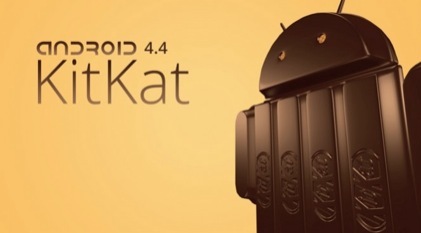 Ever since its release a lot has been spoken and written about Android KitKat Version 4.4. After all, it is being considered as the biggest Android release till date and smartphone manufacturers are rushing to upgrade their Android devices to the latest version of Android. However, a closer look of KitKat will tell you that a little have changed in Android Version 4.4 as compared to its previous version. Nevertheless, these minor modifications are still effective in maintaining the high popularity of KitKat. This version is a perfect example of an ideal mobile OS as it offers the much needed flexibility, power, customization and many more features. The subtle tweaks by Google clearly indicate that the developers have caught the hold of the right lines of evolving the OS as per the growing needs of the Android fans. The most exciting thing about KitKat will be its ability run on lower specs devices. It implies that KitKat can run on 512 MB RAM and 1 GHz CPUs, which is a big plus point for the OS. The budget phones will be able to run on the latest iteration of the Android software. Google has also passed down a new rule declaring all the Android devices must run on the latest Android version. Starting this year, Google will no longer approve the GMS distribution on the latest Android products that are being shipped with the older version. With a new version, users expect some really cool and exciting features. However, KitKat can be considered as a more of a refinement of the previous version and not a revolution. The camera is perhaps the biggest disappointment. This is a section which hasn’t seen any major upgrades since the previous two updates and hopefully the developers will address this concern in the upcoming version. Another area where it has to improve itself is the TouchWiz UI. Even though it is cleaner and powerful but it still doesn’t stand anywhere in comparison to the third party skins that are available online. Also, there is a considerable drop in the battery performance of KitKat run devices, which is surely giving a tough time to the smartphone users. Lastly, before upgrading to Android version 4.5 Google is likely to launch a few updates of the KitKat version which will act as a base for the next big release of the developer. Guest article written by: Anzer Khan is a professional article writer and specializes in writing on mobile and technology. Android is a popular technology and has got a fan base increasing at a rapid pace. Seeing the features of Android phones, you will definitely say [tp lang=”en” only=”y”]I want that phone[/tp][tp not_in=”en”]I want that phone[/tp].